ECET2 is focused on "teacher leadership and innovative instructional practices to support great teaching practice." At our convening we will celebrate teaching, motivate, collaborate and encourage one another in our journey in the field of education. Watch the video below from ECET2 and Teacher2Teacher. 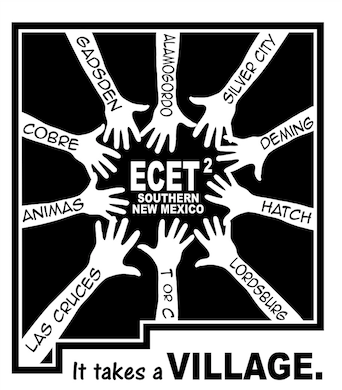 The goal of our convening is to provide an opportunity for teachers in Southern New Mexico to develop a solid local network of support. We believe that together we are better and teacher voices matter. The regional convening is an avenue for educators to share ideas, resources, and to develop in practice and in leadership. Together we will celebrate the profession of teaching. Further, we will bring awareness to issues facing our region and collaborate on ways to address them. After the convening, our hope is teachers will continue to connect with contacts and inspire other educators within their home districts to make a positive systemic change in education.